"Tito the Tenor" highlights scenes from recent productions at the Lyric. 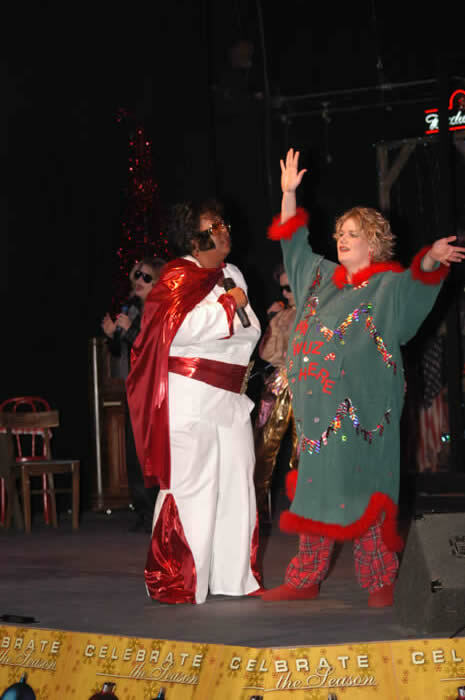 Amanda Summers and Stacy Scruggs show enjoy a number in Honky Tonk Angels Christmas Spectacular. 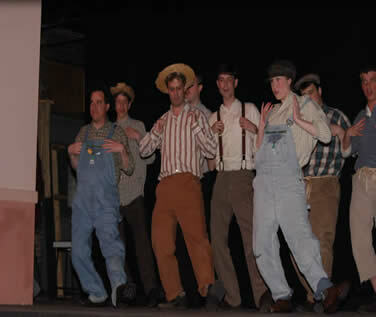 The boys from Big River show thier dancing skills. 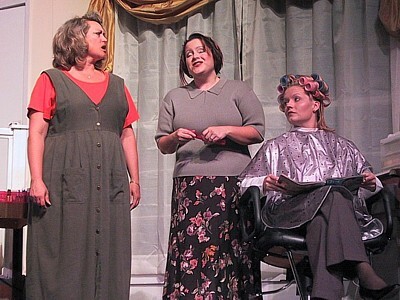 Ouiser interrogates Annelle, as M'Lynn watches with bemusement from Steel Magnolias. 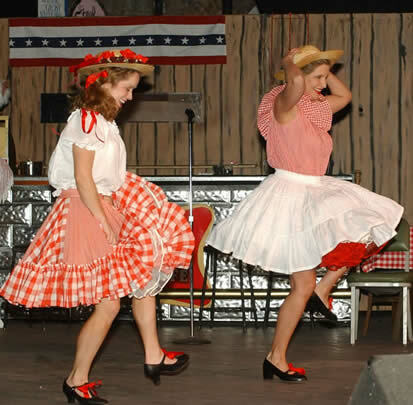 Elvis(Tonya Smith) makes a dreamy visit to Angela(Suzanne Oakley) in HTACS.